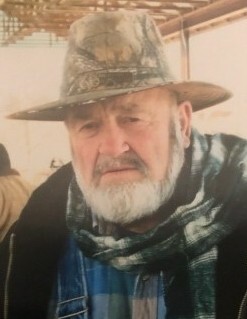 HUGH RAY STEWART age 78, of 1030 John Allen Road, Roxboro, NC passed away Saturday morning, February 2, 2019 at Treyburn Rehabilition Center. Mr. Stewart was born December 30, 1940 in Person County, NC, son of the late John Ray & Geneva Cothran Stewart. He was retired from Bromma and was a veteran of the North Carolina National Guard. Mr. Stewart loved woodworking, working in his garden, and going to the Farmer’s Market. Surviving are two sons, Jason Stewart & wife, Christy, David Stewart & wife, Kelley, one sister, Martha Gray & husband, Larry, four grandchildren, Dawson Stewart, John Stewart, Justine Stewart, and Andrew Stewart. A Memorial Service will be conducted at 2:00 p.m. Tuesday, February 5, 2019 in the Strickland and Jones Funeral Services Chapel with the Rev. Norma Roberts officiating. The family will receive friends and guests Tuesday, February 5, 2019, from 1:00 till 2:00 p.m. at Strickland and Jones Funeral Services and other times at the home, 1030 John Allen Road, Roxboro, NC.